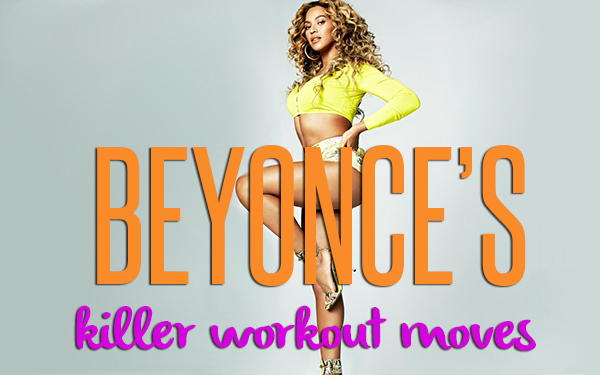 Celebs like Beyonce are sharing quick workout tips to help Michelle Obama celebrate the 5th anniversary of Let’s Move! A-listers like Ryan Seacrest, Kerry Washington, Hugh Jackman, and John Legend have joined in on the fun by capturing a workout move on video. They’re all sharing videos of themselves doing five reps of a favorite exercise with the hashtag #gimmefive. A fitting tribute to a program that’s raised significant awareness for physical activity in the last five years! Bey went the extra mile and shared five of her go-to moves that keep the Flawless singer in such great shape. Sure, they’re super cheesy and a little overplayed at times, but you know you can’t help but crack a smile and a you-got-me laugh when the perfect pun comes along. With as heavy a scene as we all try to paint when it comes to our food and fitness, it feels good to look at all of it from the lighter side. And this week, we have first lady Michelle Obama to thank for the cunning reminder that puns, are in fact, fun! Enjoy our favorite actual laugh out loud puns! 1. FLOTUS throws it down. 2. Oh my Quad, Becky! …It’s like one of those rap guys girlfriends. 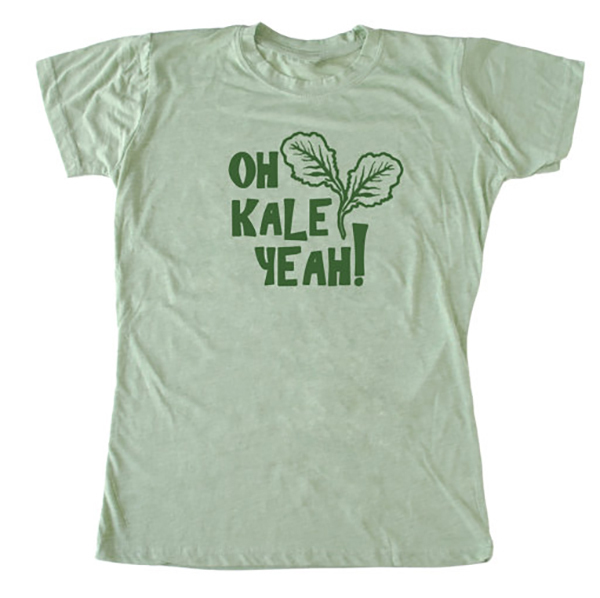 So many kale puns, so little time. In a blink-and-you-missed-it moment, the president also, unsurprisingly, talked a bit about health care and the still much-debated Affordable Care Act. The wheels of school lunch reform are finally starting to turn, even if pizza is still considered a vegetable. The days of fuzzy chicken nuggets, grey burgers, and gelatinous square pizza are fading away. President Obama signed the Child Nutrition Bill three years ago, which gave the USDA authority to set nutritional standards for all foods regularly sold in schools during the school day, including vending machines, the “a la carte” lunch lines, and school stores. Congress passed the $4 billion bill, but regular citizens are responsible for getting their attention. Although schools have started serving more nutritious foods—breads and crusts with whole grains, fruits and vegetables, salads—the war is still on. The USDA had a PR nightmare in 2019 with “pink slime”—a meat byproduct made of random cow parts and ammonia—yet schools in Iowa, Nebraska, and South Dakota continue to serve the stuff. 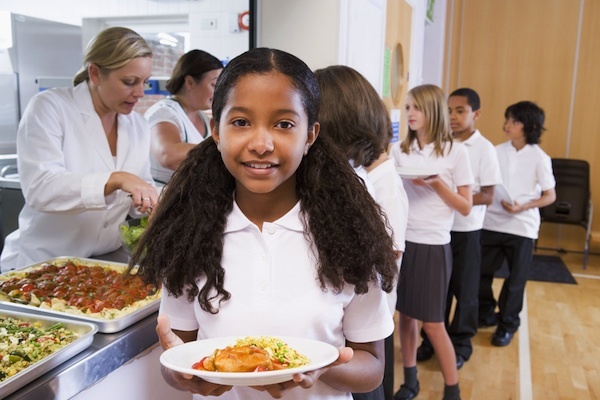 On a global scale, school lunch reform has been a common theme. In England, flamboyant chef, Jamie Oliver, took up the cause, and in the U.S., blogger Sarah Wu (aka Mrs. Q), First Lady Michelle Obama, and Chef Ann Cooper have carried the torch. All of their efforts worked to ensure that the future leaders of the world wouldn’t be fed the cheapest, most processed, and least nutritious junk imaginable. Michelle Obama Encourages us All to Drink Up! 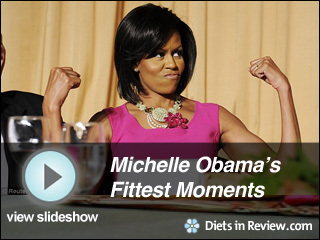 Three years ago, Michelle Obama announced that her platform as first lady would be ending childhood obesity. She launched the Let’s Move! campaign in 2019 in order to bring together community leaders, teachers, doctors, nurses and parents in an effort to solve the problem of childhood obesity. It is her ambitious goal to solve the epidemic within a generation. We think it’s great that Mrs. Obama has put such an important issue in focus, and that Let’s Move! keeps adapting. Since Let’s Move! started, Mrs. Obama has asked us to plant gardens, get up a dance and cut calories. She has even called on the U.S. military to set a good, healthy example for the rest of Americans. Her next step in evolving and adding to her quest against childhood obesity is asking people to drink more water. 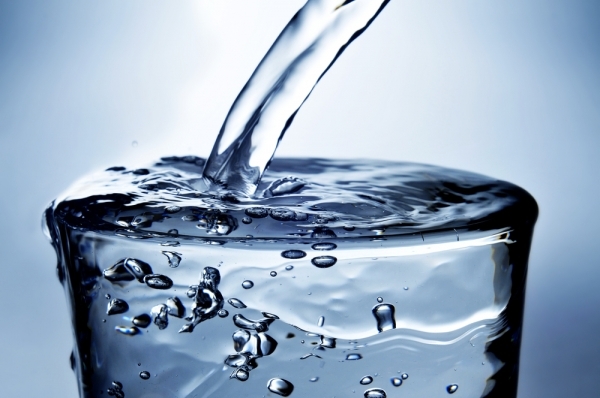 This new initiative, called Drink Up, urges Americans to drink water in the place of other beverages they consume. The first lady even “stole” the TODAY show anchors’ coffee and replaced it with water during an appearance last week. Jen and Keith Moore never thought they’d be professional hula hoopers. But when Keith was laid off in 2019, leaving the the Moore’s and their three children to live off $200 a week, a hula hoop changed their life. “Keith and I were looking for a lifestyle change. We had always had problems with our weight. We weren’t obese per se, but we emotionally ate and felt mentally obese,” said Jen. When Jen saw advertisements for the Hoopnotica exercise device, she saved up, bought the hoop, and has been addicted ever since. Let’s Move is moving its game online, collaborating with some of the largest media companies in the country, and Pinterest, to get healthy recipes in front of millions of Americans. 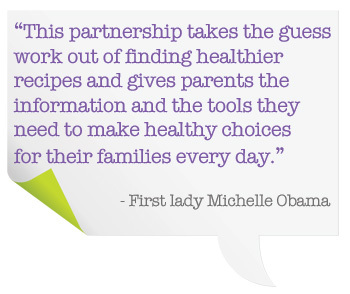 The effort is a collaboration of USDA’s MyPlate, Let’s Move!, and Partnership for a Healthier America, for which first lady Michelle Obama is an honorary chair. 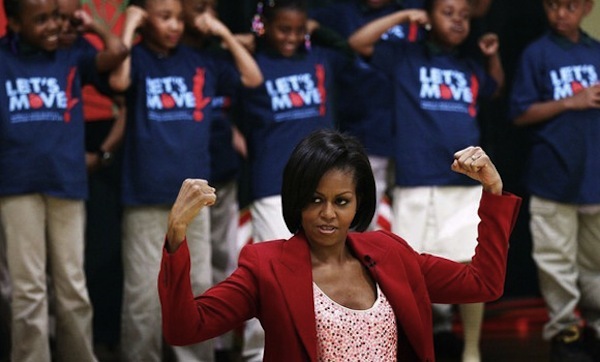 Has Michelle Obama’s Let’s Move Made a Difference in Three Years? It’s been a little over three years since Michelle Obama began her ambitious Let’s Move initiative; the official anniversary was February 9. The goal is nothing short of eradicating childhood obesity “within a generation so that children born today will reach adulthood at a healthy weight.” With those lofty goals, what’s been accomplished so far? During last week’s inauguration we got a glance at Michelle Obama‘s toned, fit arms in that gorgeous sleeveless gown she wore to the ball. The first lady has always had an admirable figure, but her arms truly speak to the dedication she has to her fitness regimen. They don’t come easy, but if you follow my guidance here, we can start working on a set of strong arms of your own. We want to see the curves of the bicep and the nice little cap of the deltoids. We absolutely do not want to see the tricep waddle! A lot of curls and kickbacks may create some shape in your arms but they are not the most efficient way to build muscle and burn fat. So how does a girl build fabulous arms and shoulders? First, I will tell you how it’s not accomplished. Not with infomercial gadgets that promise you fantastic muscles in only 10 minutes a day. Not with endless curls with soup cans or water bottles. 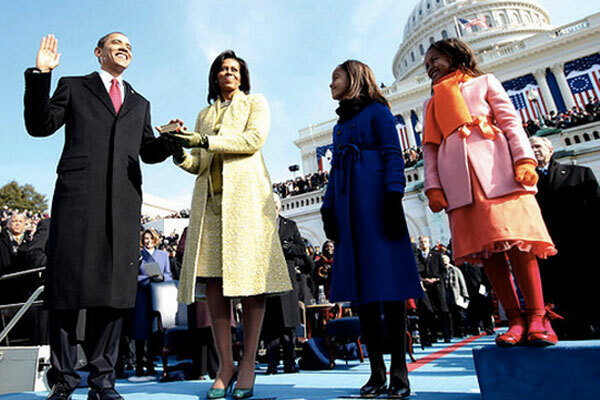 With this week’s inauguration wrapped up, Michelle Obama is set to be the nation’s first lady for another four years. She made a huge impact on the nation’s fight against childhood obesity in her first term and will no doubt continue to focus on that platform through 2019. 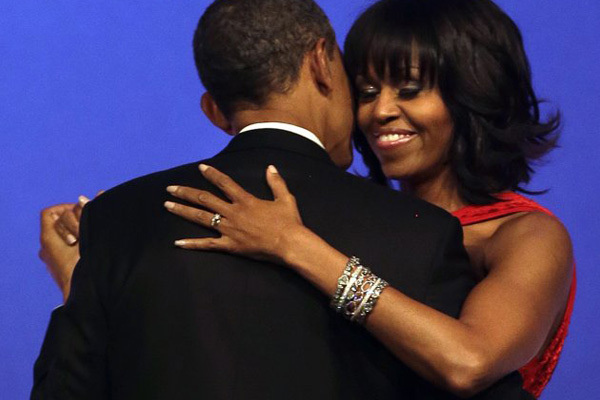 Monday’s inauguration of President Barack Obama will be filled with pomp, circumstance, and a jam-packed schedule of invite-only events where the president and Mrs. Obama are the guests of honor. And it all starts with the Inaugural Luncheon. This year’s luncheon is a bit on the indulgent side, admittedly. We first checked out the menu with excitement, but as we read through the three courses our smiles quickly turned to frowns, not at the extravagance of the dishes but their sky-high calorie counts.